Fender 2011 Custom shop Sea Foam Green Relic Strat. I have had this Strat stored since 2011 - never used never played. I decided in Sept 2017 to get it out of storage and have a look at it. 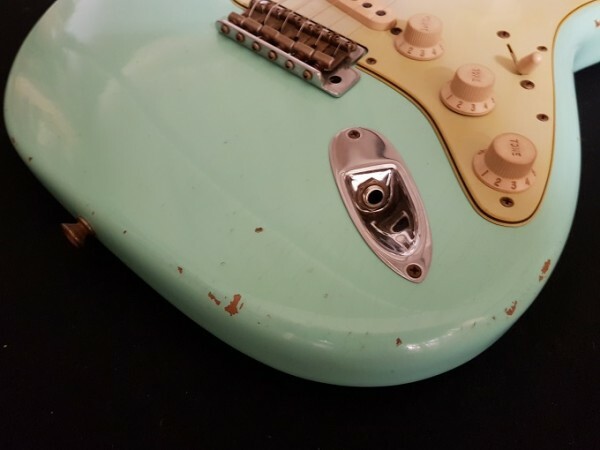 Sea Foam Green is my favourite Fender colour. 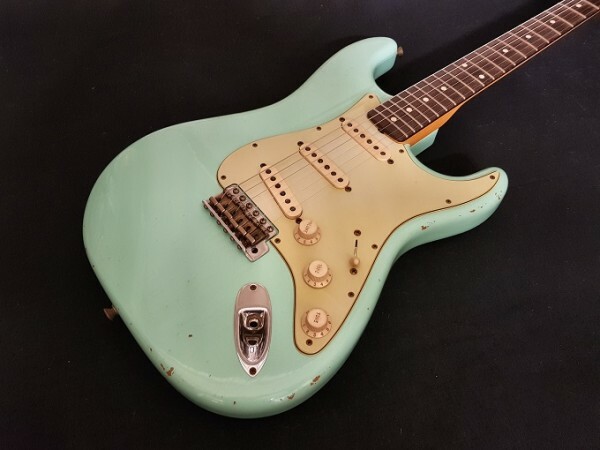 And indeed this Strat looks amazing. But for a change instead of just putting it up for sale - I decided to hot rod it. 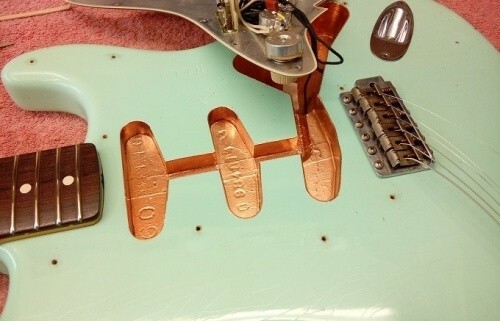 The pickup cavity in this guitar has been carefully screened (shown) with copper foil, along with a shielding wire to the jack socket. I have replaced the pick ups with a set of Seymour Duncan Antiquity Texas Hot pickups. 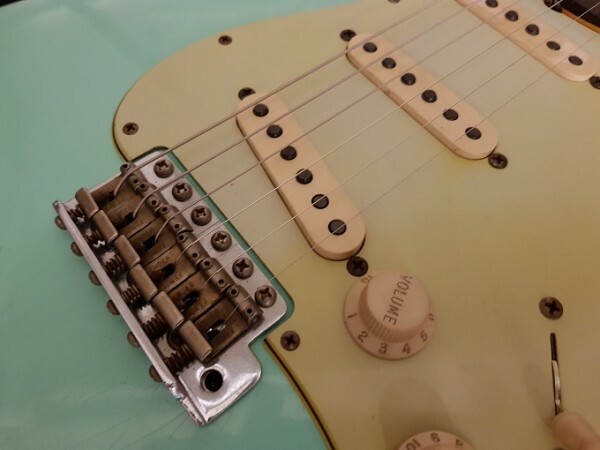 Naturally the original pickups are supplied with the guitar as well. Each individual Antiquity pick up has also been carefully screened. This means that you get the sound of the Hot Texas pickups but when you add gain the background noise is greatly reduced. The bridge has been locked down like a Clapton - although that could be altered very easily. The guitar is finished off with a full pro set up (with 010 - 46 strings EB Paradigm). I believe this Strat to be one of the best I have played in a long time (IMO). Comes including case and candy (Strap, Cable, certificate etc) and original shipping box.